Graduating from college with a major in criminal justice. If you could do anything in the world or go anywhere what/where would it be? I would love to go around the world, helping people who are homeless, and just giving a hand to anyone that needs one. If you could change one thing about the way your friends drive, what would it be? I would change how they race people at random times. Why are you involved in Teens in the Driver Seat? 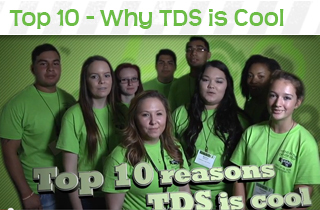 I am involved in TDS because I want to help promote safe driving to teens as best as I can.